Here at our custom shop in Dallas, we interact with all kinds of drivers every day. That’s what’s so great about customization; it’s different for everyone. If everyone followed the same formula when customizing their vehicle, then there wouldn’t be anything “custom” about it. Instead, we encourage our visitors to select the upgrades and changes that suit them best. At the end of the day, most upgrades tend to fall under either style or performance. Many upgrades, though, have the benefit of covering both. Check out a few of our favorites! Whether you’re lowering your vehicle or lifting it up, customizing your suspension can be as subtle or as drastic a difference as you want. It’s all up to how you want your vehicle, and how you want it to perform. For enhanced handling on the street or track, and a more aggressive stance, lowering your car is just the ticket. If your truck or SUV could use some beefing up, though, then a lift kit is exactly what you’re after. If more power is what you’re after, then we’re your destination for performance upgrades in Dallas. While we’re more than happy to do a complete overhaul of your engine and transmission, don’t fret; there are plenty of ways to push a few more horses out of your vehicle that are more affordable. Some more manageable changes, like switching your air filter, upgrading your exhaust, or tuning your engine, can add up to more horsepower for you to enjoy. More power to move requires more power to stop, and upgrading your brakes is never the wrong decision. In addition to letting you hit the road with confidence, upgraded brakes can allow you to accelerate farther into curves before braking. If you’re looking to add style to the equation, as well, then custom colored calipers blend the best of both form and function. 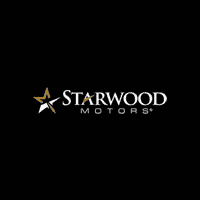 Whatever goals you have for your upcoming customization, the team at Starwood Motors is here to help make them happen! Be sure to contact us online or to call our team at (800) 348-9008.